It's a crazy world we live in today. The germs, bacteria and respiratory viruses that surround us have never been stronger or more antibiotic-resistant. That's why it's more important than ever to keep your body on alert against attacks to your immune system. Whether you're trying to battle the "bug" at the office or warding off germs that your kids bring home from school, Wholesome Essential Oil delivers positive antiseptic benefits to cleanse, calm and sooth your body and soul. Wholesome Essential Oil helps eliminate airborne bacteria and boost the immune system. Our Wholesome Essential Oil offers a safe and powerful approach in the battle against bacteria, germs, fungus and viruses all year round. Europeans began producing essential oils in the 12th century. During the Plague of the 15th century, certain thieves robbed the dead without becoming infected. Finally, four thieves were captured in Marseilles, France, and charged with robbing the dead and dying victims of the plague. At the trial, the magistrate offered them leniency if they would reveal how they managed to avoid contracting the dreaded infection, in spite of their close contact with infected corpses. It was disclosed that these thieves were perfumers and spice traders who had rubbed themselves with a concoction of aromatic herbs. 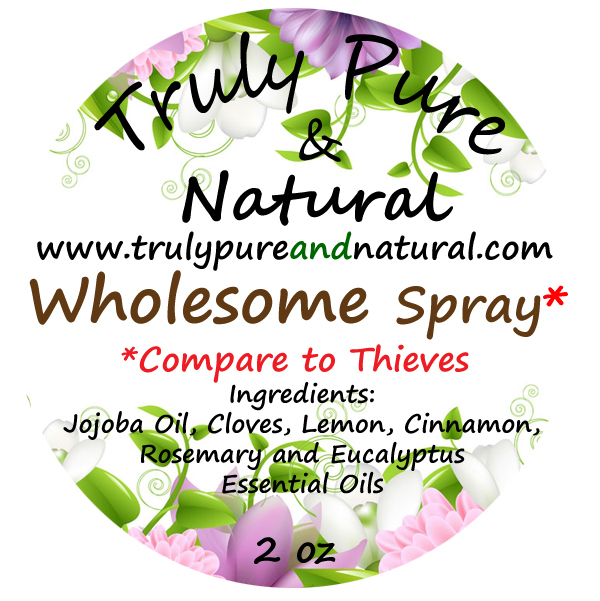 The formula for the essential oil blend, Wholesome, is derived from the aromatic herbs used by the thieves of 15th century France. 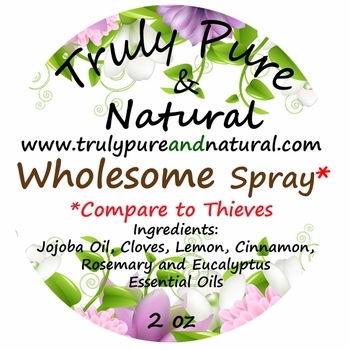 It can be compared to Young Living's Thieves Essential Oil Blend. ~ Spray and rub on your chest at bedtime. ~ Spray onto the soles of your feet. ~ For colds and allergies, inhale Wholesome fumes. ~ Rub a drop or two in the palms of your hands until warm, cup your hands, and breathe deeply. ~ When traveling, place 5 or 6 drops of Wholesome on a tissue and clip it to the air vent to clean the air. DO NOT touch the Wholesome to your eyes or nose, and wash hands after using. For external use only. Keep out of eyes and any sensitive skin. Not for infants. Keep out of reach of children. Pregnant women should consult their health care professional before using.